There will be 1/2 AP quest for qp gates. The Evil Bone is now switched to Void's Refuse. Mystic Code: Royal Brand will be added to the shop! After the maintenance, Leonardo Da Vinci will get her own interlude! Starting on 6 Feb 2017, Master Missions will have double reward amount. 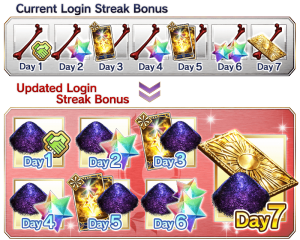 Starting at 1 February 17:00 JST, QP Daily Quest will be available everyday.